http://www.distraction.gov/ – Government resource for learning more about distracted driving. Get the facts, get involved, and help us keep America’s roadways safe. http://www.nhtsa.gov/Research/Crash+Avoidance/Distraction – Current and previous NHTSA research investigates how distraction impacts driver performance, and develops and evaluated vehicle-based countermeasures to minimize the negative effects. http://www.fcc.gov/guides/texting-while-driving – In addition, to collect and share information about consumer outreach activities and technology that could potentially reduce the problem of distracted driving, the Commission’s staff created the FCC Distracted Driving Information Clearinghouse. http://www.safercar.gov/ – NHTSA works to save lives on our Nation’s roadways. That includes doing everything we can to keep your children safe on the road. We’re leading the effort, but you’re the key to protecting your family. http://blog.usa.gov/post/14309581017/more-people-are-texting-and-driving – Distracted driving is a dangerous and common practice —and it’s becoming an even bigger problem on the nation’s roads as more drivers are text messaging while driving. 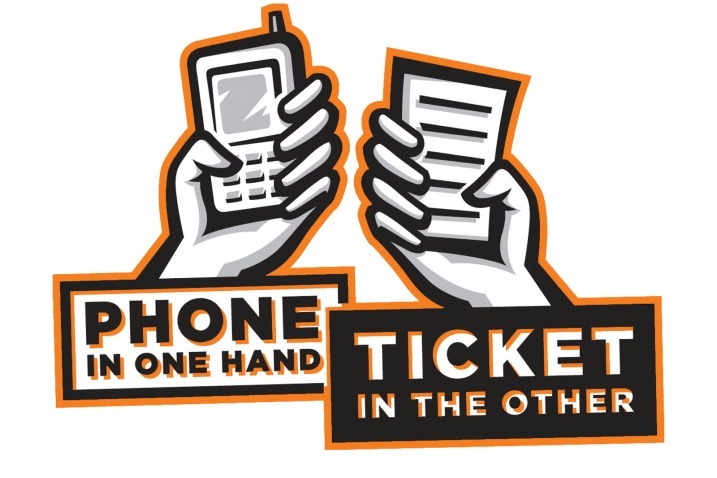 http://www.trafficsafetymarketing.gov/CAMPAIGNS/Distracted+Driving/One+Text+or+Call+Could+Wreck+It+All – Distracted driving is any activity that diverts a person’s attention from the primary task of driving. All forms of distracted driving endanger driver, passenger, and bystander safety. https://www.osha.gov/distracted-driving/ – OSHA Assistant Secretary David Michaels spoke at the Symposium on Prevention of Occupationally-Related Distracted Driving held April 18, 2011, in Laurel, Md. Distracted driving, including texting while driving and cell phone use, is a major cause of motor vehicle crashes. http://enddd.org/ – Thousands of people have been killed by distracted drivers; hundreds of thousands have been injured. You can help stop distracted driving. Change your driving habits and help your family members do the same by learning about the dangers of distracted driving and by reviewing our Family Safe Driving Agreement together. http://stopdistractions.org/ – Stopdistractions.org is a grassroots non-profit organization dedicated to eliminating the lifelong devastation that results when a loved one is killed or injured in a distracted driving crash. Stopdistractions.org brings together distracted driving victims, victim survivors, foundations and the general public to build awareness and recognition to this reckless behavior. http://toadd.org/ – TOADD.ORG, Inc.a 501c3 non-profit has been dedicated to creating a safer social and mobile environment by addressing issues relevant to youth regarding appropriate technology use, social health and literacy awareness. http://www.noys.org/ – National Organizations for Youth Safety (NOYS) is a coalition of non-profit and for-profit youth serving organizations and government agencies working together toward the common goal of addressing health and safety issues that affect youth in the United States. http://www.ohiovalleypilawyers.com/contest/ – Chaffin Luhana Foundation DRiver AWareness (“DRAW”) Challenge, which is designed to empower students to develop an effective, new message and awareness campaign that supports one of the Foundation’s missions—to drive down the staggering number of distracted driving accidents in the United States. http://dropitanddrive.com/youth/distracted-driving-class-challenge/ – The goal of Drop It And Drive Youth Program is to raise awareness about the dangers of distracted driving and distracted walking with a solution-focused, reality-based approach. Providing road safety programs for elementary schools and speaking to high school students provides the opportunity to positively impact the next generation of drivers to help reduce injuries and fatalities. http://www.toyota.com/teendrive365/ – Whether you’re a teen driver, an experienced driver or a young passenger, we want to help keep you safe. Here are a few tips to help you go safely.